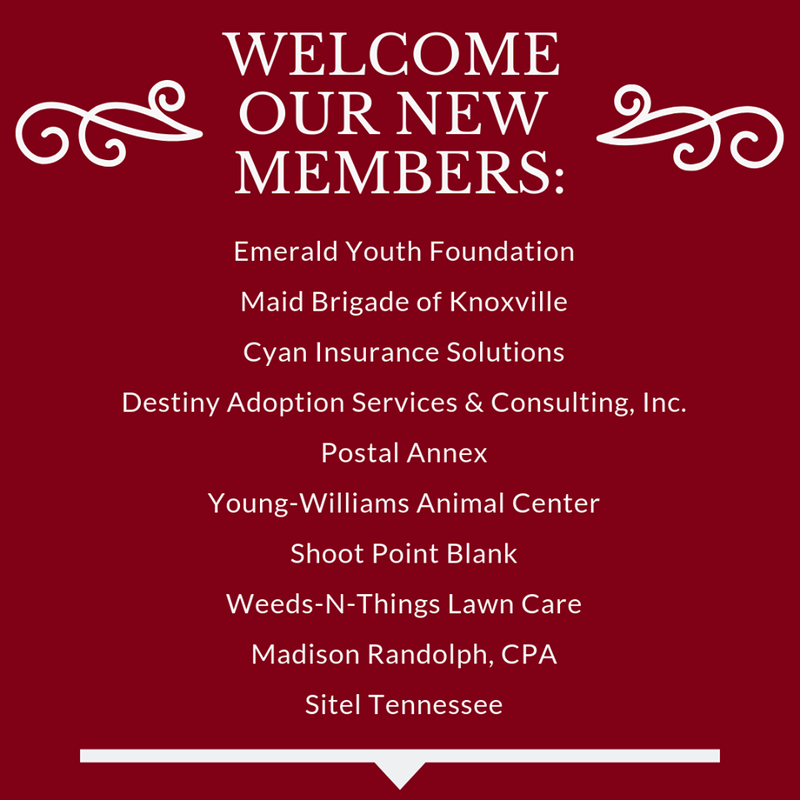 Since 1987, the Chamber has served as a proactive voice for business and the community it serves in East Tennessee. Membership includes approximately 650 area businesses. Chamber Members work as one to serve our community where they live and do business. The Chamber offers a full calendar of weekly programs PLUS members can add their own business events in their portal! CLICK “Events” to view the Chamber Calendar OR Community Calendar! Welcome to these businesses who joined in January! Join the 700+ businesses, organizations, and individuals who make the Chamber a vibrant community. Members enjoy many substantial benefits. The Chamber offers lots of ways to connect with fellow business owners, professionals, and community leaders. Check out our Event Calendar. Chamber Members may advertise and promote their goods and services in many ways. Excellent and friendly staff! Great networking events with plenty of new friends at your fingertips. Awesome Chamber! Great way to connect with the community and other businesses. Professional and always willing to work for their members. Best chamber to belong to! I would absolutely recommend any company and individual getting involved with the Farragut West Knox Chamber. Our business, Slamdot, has been a member since about 2008, and I’ve personally served as a volunteer, and the relationships we’ve built have been tremendous, while directly impacting the growth of our company. We have created some great allies, met close friends, and had the pleasure of serving clients, all from meeting and continuing to connect with members and guests at networking and other events. The staff does a great job, and the Board and Ambassador programs are made up of Knoxville’s most professional and selfless individuals who volunteer their time to improve the Chamber and the benefits it provides to members. Come join us for a networking event if you haven’t been before, and consider becoming a member! You’ll learn pretty quickly that it’s like family. This is a great networking group to work with! I originally joined the FWKC in 2007 and have made lifelong relationships both personally and professionally. To me the Farragut West Knox Chamber is a major cornerstone of our community and I look forward to years to come with the Chamber. The Chamber is a vital part of my business success. The Chamber offers tools for my business, such as leadership training and information about best-practices for businesses. It also provides ample opportunities to network with my peers, generating referrals that are the key to success for small businesses.